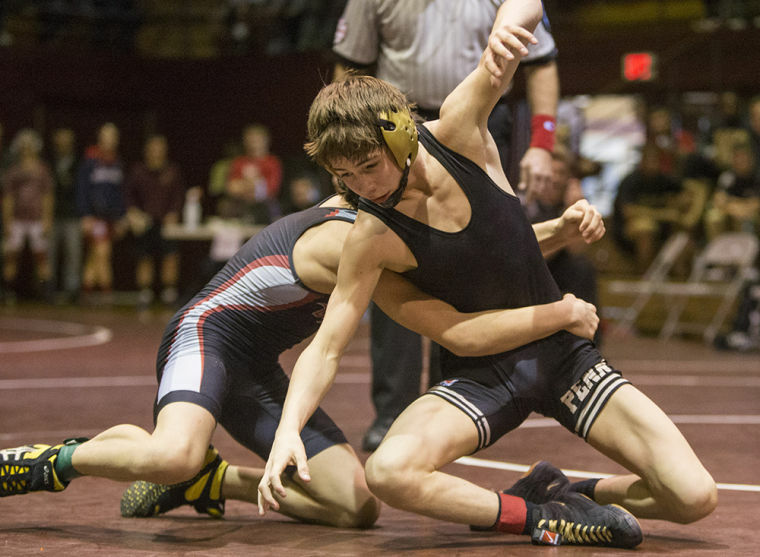 Last June may have been a bit of a "wake-up call" for some Louisiana wrestling fans who saw their three-time Division I state champion Brother Martin Crusaders fall in the championship bracket twice to finish fourth at the Jazz Town Duals. The Crusaders also had a pool round loss but, via an upset in another pool, the team that beat them was knocked out early by Archer, which helped the Crusaders reach the semifinals. This year the competition may even be tougher. Aside from the top three Louisiana teams, as well as Live Oak and three Louisiana wrestling clubs, the matches will feature seven teams from Indiana, five teams from Texas, two teams from Pennsylvania, two teams from Florida, two teams from Georgia and one team apiece from Iowa, Kansas and Missouri. The Jazz Town Duals will be held on Saturday and Sunday, June 20th-21st, at the Xavier Convocation Center, located at 7910 Stroelitz Street, on the downtown-side between the intersections of North Carrollton Avenue at I-10 and North Carrollton Avenue at Washington Avenue. 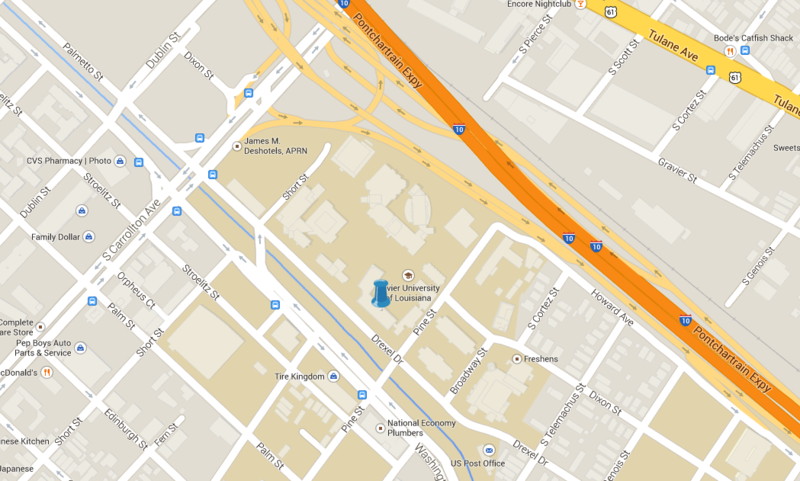 The event is hosted by the New Orleans Wrestling Club. There are 28 teams in six pools. In six rounds on Saturday each team will compete in four dual meets. The top three teams in each pool will advance to the 16-team championship bracket on Sunday (along with one other team based on its pool record or other merits over other teams). At the 2014 Jazz Town Duals Georgia's Archer High School (left) suffered an upset in the pool rounds but nevertheless prevailed in the championship bracket, beating Indiana's Mater Dei in the semifinals and Team Valley of Iowa (right) in the finals. 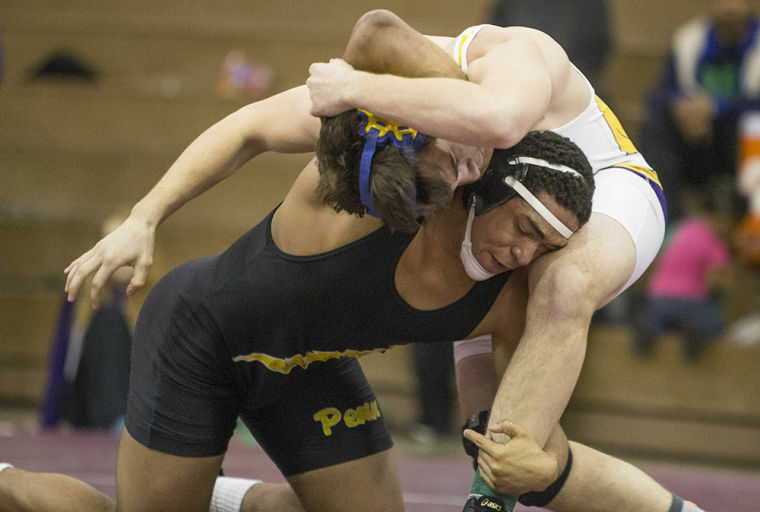 Archer and Team Valley will send a lot of the same members to this year's JazzTown Duals, but should be tested by Indiana's Penn High School, Easton Pennsylvania, a much tougher Back-in-Black team from Florida as well as other challengers, including local favorites Brother Martin, Holy Cross and Jesuit. The Crusaders recently won their fourth consecutive Division I state title and should be the Division I favorite in 2016. However, Holy Cross and Jesuit, they will need to reload after losing a significant group of seniors. They have the leadership to do that under seniors Taylor Gamble, Stephen Rumney and Pierce Williams, as well as with their two-time state champion, junior Steven Shields. 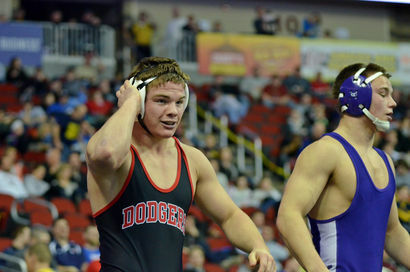 The Tigers have one of four state champions remaining in Jake Rando, as well as runners-up in Beau Bush and Joey Foret. Eric Desormeaux is expected to take the reins as the head coach again after the departure of T.J. Miler. The Tigers are rife with young talent in the Clement brothers, Jeffrey Argrave, Hayden Hess, Robbie Butler, Michael Benton to name just a few. Joseph Dupre Guy Patron, Jr. The Blue Jays have returning senior runners-up in Joseph Dupre and Guy Patron, Jr., and a pretty solid core including the Larriviere brothers, Jordan Giewat, Griffin Mason and several others. Jesuit will be a bit of a mystery under new coach Sheridan Moran, but as they proved this year in taking the Division I runner-up spot, they are always ready come February. Live Oak is bringing 19 wrestlers to the event. While the Eagles lost three state champions to graduation, they have five returning state placers in sophomore Navy Tedder, juniors Ian Hill, Ethan Alphonso and Mason Castle, and senior Brennan Webb. Seth Minard should play major role for the Eagles in 2015-16. Westbank Wrestling Club Coach Dean Tessitore is bringing 15 wrestlers from Westbank schools including Belle Chasse, Ehret, Hahnville, Thomas Jefferson, and Shaw. Among that group is 2014 Division I runner-up and 2015 Division I 3rd-placer Nicholas Lirette of Hahnville. Third-place finishers in Division II for Shaw are Brad Albarado and Matthew Blair. The Wrestling Academy of Louisiana will bring Nick Ernst, Andrew Booth, Michael Housey, Jason Colombo, and Lamar Burnett. The Northshore Wrestling Club may bring St. Paul stand-outs Sam Dufour, Seth Dragon, SHane Ulfers and Steven Van Zandt. Last year's champion, the Archer Tigers of Georgia, were ranked #6 in the nation by when they visited New Orleans. They went on to win the Georgia 6A state championship last year. This year they are ranked #11 by Intermat, which in the grand scheme does not mean they are really any weaker. Possible reigning Georgia 6A state champions from Archer include Chris Diaz, twins Thomas and Daniel Bullard, and Quin Estes. Between them, the Bullard twins also have five national championships. Also ranked in the top 50 by Intermat is the team from Penn High School of Mishawka, Indiana, which comes in at #46. 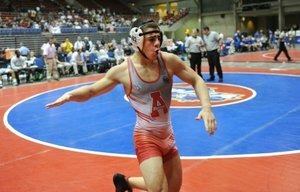 For those who remember the Indiana team from Mater Dei, which was a reroll away from defeating Archer in the semifinals and which defeated the Crusader 54-23 to place third, Mater Dei placed third last season in Indiana - Penn placed first behind state champion Kobe Woods and runner-up Drew Hildebrandt. Two other Indiana teams may bring state runners-up: Perry Meridian's Tristen Tonte and Brownsburg's Tyler Mills. Brownsburg may also have qualifier Nathan Woods. Perry Meridian placed sixth in the Indiana state championships. Bloomington South High School, IN, is also scheduled to compete. Team Valley Wrestling Club of Iowa, last year's runner-up to Archer, will bring five state champions with them, including the Portillo twins, Justin and Josh, Brody Teske, Ryan Leisure and Sam Cook. And while only freshman, they will have 5xAAU state champion Drew Bennett and AAU state champion Spencer Trenary as well. This is probably a club consisting primarily of wrestlers from Allen High School in Texas. The Allen Eagles were expected to give Brother Martin a run at the 2014 Trey Culotta, and they had some champions put on some stalwart performances, albeit not enough to best the Crusaders. This team may fare better should the two teams meet again. Allen may have five wrestlers who did quite well at the Culotta as well as in the 2015 Texas UIL 6A State Championships, which Allen won with a 79 point cushion. Logan Brown ran away with 106 lbs. at the Culotta and placed second at the UILs. Juwan Robinson placed third at the Culotta as an unattached 145 lbs. wrestler and won the UILs at 138 lbs. 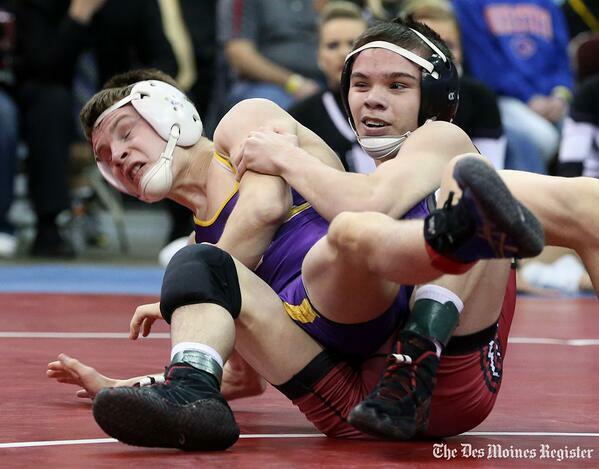 Winning the Culotta at 145 lbs., as well as the UILs, was Braedin Redlin. Another Culotta winner, Daniel Cartegena, placed third at the state championships. While Culotta champion Garrett Miller graduated, runner-up Dalton Miller, a UIL state champion, should return. 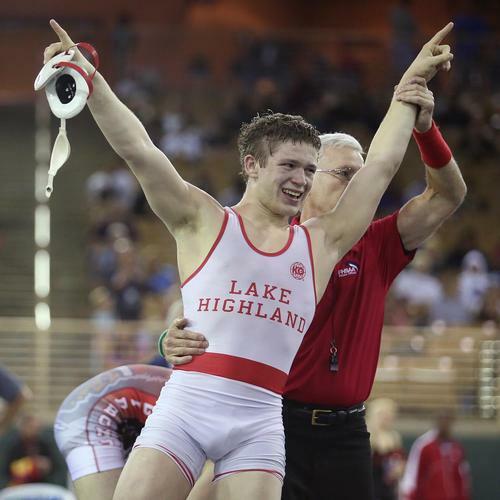 Back in Black from Florida is an all-star team with state champion Bryce Rogers of Lake Highland Prep. 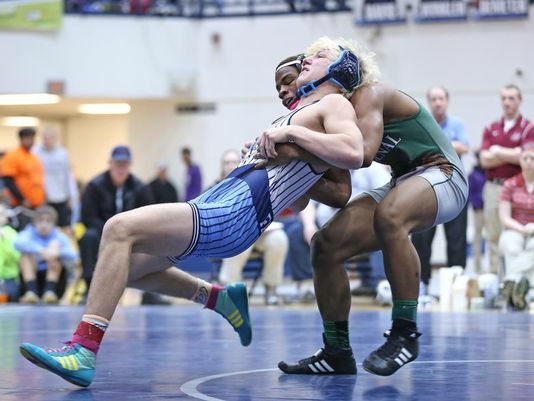 South Walton's William Pickren is recovering from an injury, but the youngest Pickren, freshman Evan, will participate in his second Jazz Town Duals. Pennsylvania has a system like Indiana for their state championships, and Easton, the team that beat the Crusaders in the pool round, may bring 3rd-place finisher Evan Fidelibus and 7th-placer James Saylor, as well as state qualifiers Kory Cavanaugh and Jaron Swank. The Without Limits Wrestling is a coed wrestling club from of Spring, Texas, with five nationally ranked young ladies. 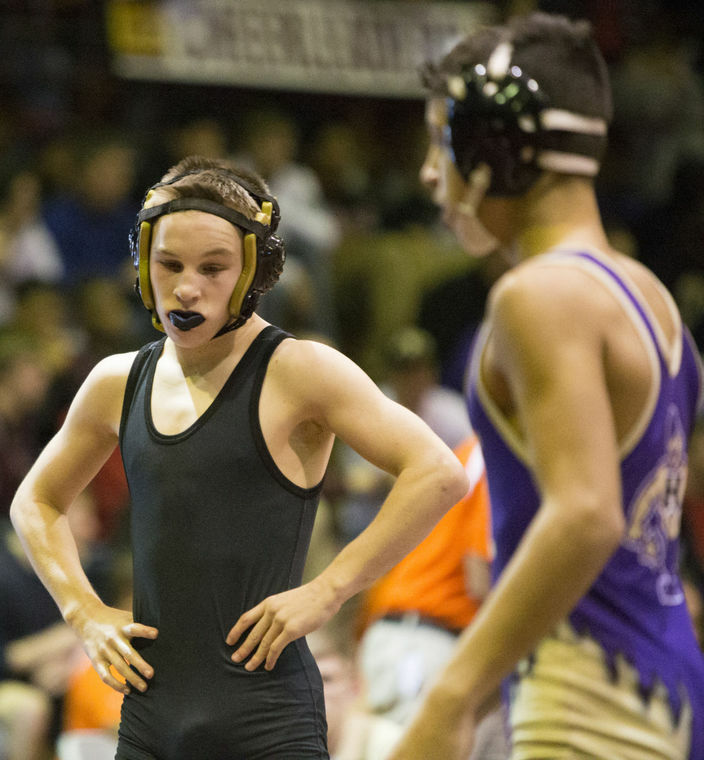 Without Limits will bring Colin Lawler, a 2014 TAPPS state champion who recently won the Texas freestyle and Greco-Roman state titles, and compiled a 7-1 record at the Cadet National Duals. 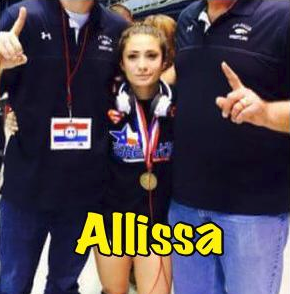 Also making the trip will be Allissa Maldonado, ranked #7 among girls in the nation, who placed third in the Texas UIL Girls state championships and won the USAW Girls Freestyle state championship.